Acupuncture is a collection of procedures which involves the stimulation of points on the body using a variety of techniques, such as penetrating the skin with needles that are then manipulated manually or by electrical stimulation. 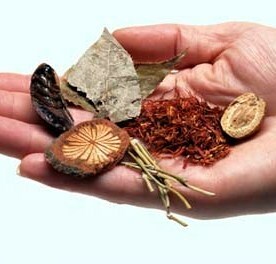 It is one of the key components of traditional Chinese medicine and is among the oldest healing practices in the world. By stimulating specific acupuncture points, it corrects imbalances in the flow of qi through channels known as meridians. Energy work is a form of alternative medicine that relies on the idea that the body is filled with and surrounded by energy fields that can be manipulated. By working with these energy fields, practitioners believe that they can promote harmony and balance for their clients, addressing specific medical conditions in addition to easing emotional distress. Energy work takes a wide variety of forms, and it is on offer from practitioners in many areas of the world. According to energy workers, the health of the human body and mind rely on stability in the energy fields around the body. If the energy is blocked or disturbed, someone may feel a corresponding illness or emotional unease. Practitioners attempt to feel the energy in their clients and to manipulate it, eliminating blockages, undoing knots, and addressing areas where the energy appears to be flowing counter intuitively. Shiatsu means “finger pressure. It is a type of alternative medicine consisting of finger and palm pressure, stretches, and other massage techniques. Practitioners promote it as a way to help people to relax and cope with issues such as stress, muscle pain, nausea, anxiety, and depression. Tui Na or tuina is a form of Chinese manipulative therapy often used in conjunction with acupuncture, moxibustion, fire cupping, Chinese herbalism, t’ai chi, and qigong. Tui na is a hands-on body treatment that uses Chinese taoist and martial arts principles in an effort to bring the eight principles of Traditional Chinese Medicine (TCM) into blanace. The practitioner may brush, knead, roll/press, and rub the areas between each of the joints, known as the eight gates, to attempt to open the body’s defensive (wei) chi and get the energy moving in the meridians and the muscles. The practitioner can then use range of motion, traction, and massage, with the stimulation of acupressure points. These techniques are claimed to aid in the treatment of both acute and chronic musculoskeletal conditions, as well as many non-musculoskeletal conditions. Nutrition (also called nourishment) is the provision, to cells and organisms, of the materials necessary to support life. Many common health problems can be prevented or alleviated with a healthy diet. Human nutrition and meal planning to help support a high level of quality nutrition is essential to the management of your treatment. Traditional Chinese herbal therapy provides a deeper level in treating an individual’s constitution as well as symptoms of the patient. Our herbs are medicinal in nature and add an extremely wonderful healing component to a treatment. If you would like to prepare before your visit, you can print and fill out my intake form (Word Document).